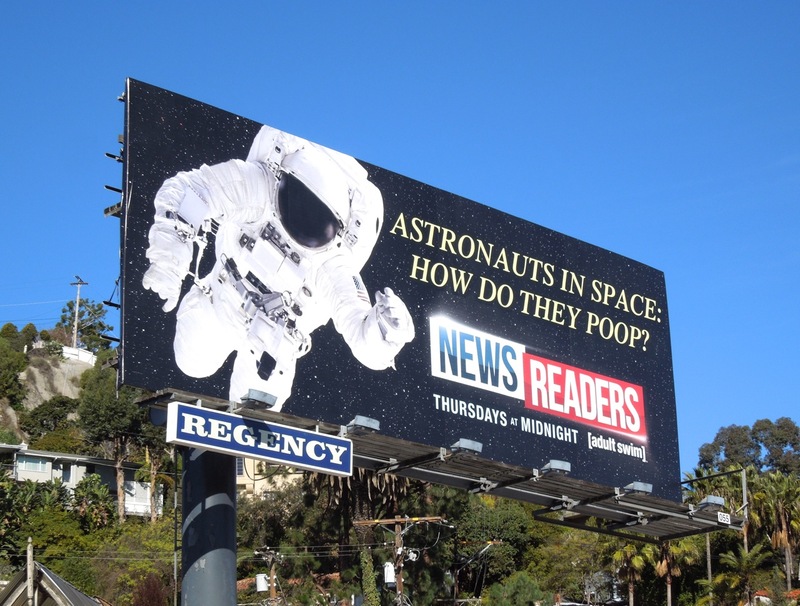 In Daily Billboard's opinion, the sign of a really good billboard is how much you want to share it with others when you first come across it, like this hilarious creative for the forthcoming Newsreaders TV show. Another spin-off from Adult Swim's Childrens Hospital, based on the fictional news magazine featured in the Emmy Award-winning comedy series, it looks like this new show is not afraid to ask the hard-hitting questions. 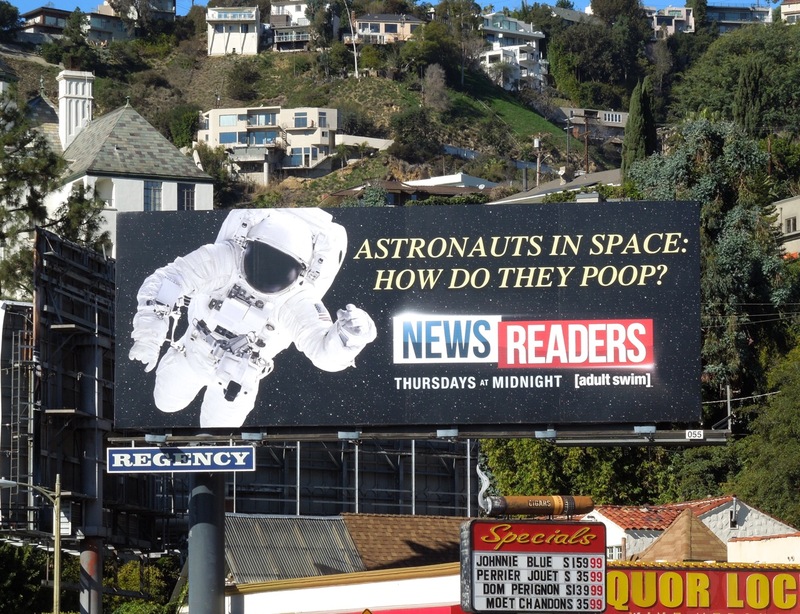 We all know that no one can hear you scream in space, but come on, we've all also wondered how they do it in their spacesuits if they need to. 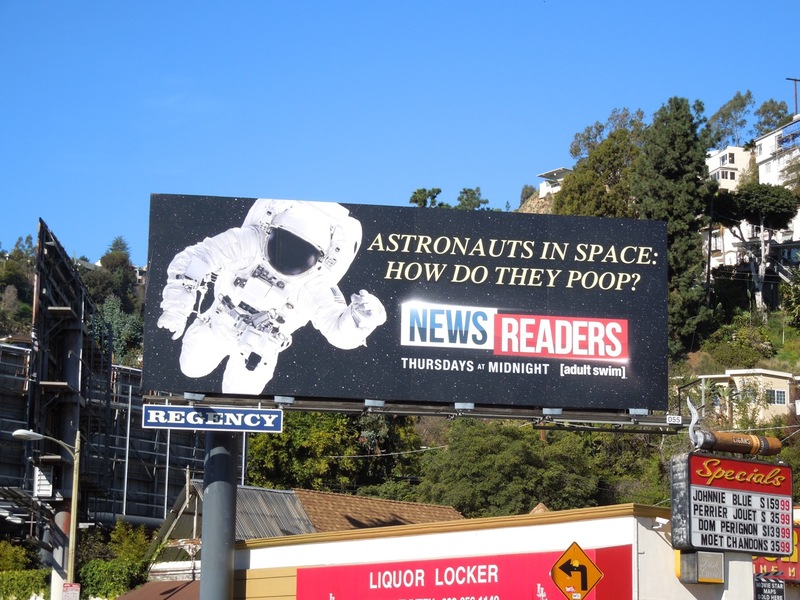 Daily Billboard is sure zero gravity is not your friend in this instance. 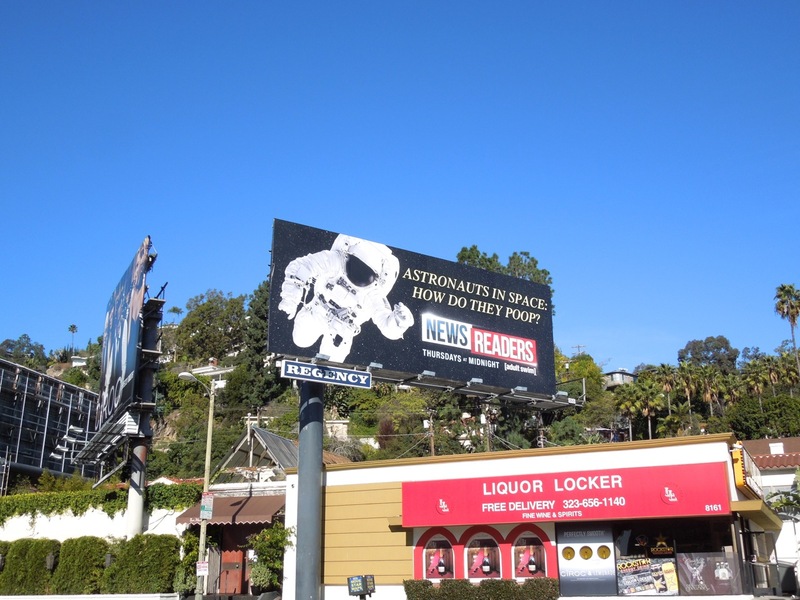 This tongue-in-cheek, thought-provoking billboard was spied along Sunset Boulevard on January 12, 2013. 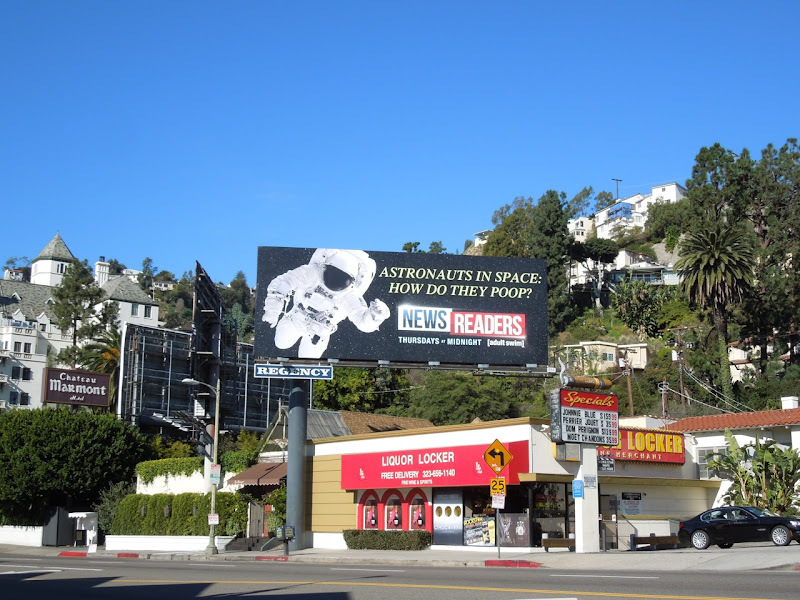 If you like this ad, be sure to also check out these other billboards for another Childrens Hospital spin-off show, NTSF:SD:SUV::.